This show-stopping dessert originates in 18th century French cuisine and is famously difficult to make. The batter combines chocolate crème pâtissière (a mixture of thickened egg and custard sweetened with chocolate) with whipped egg whites, which provides the lift the dish needs to rise so elaborately. 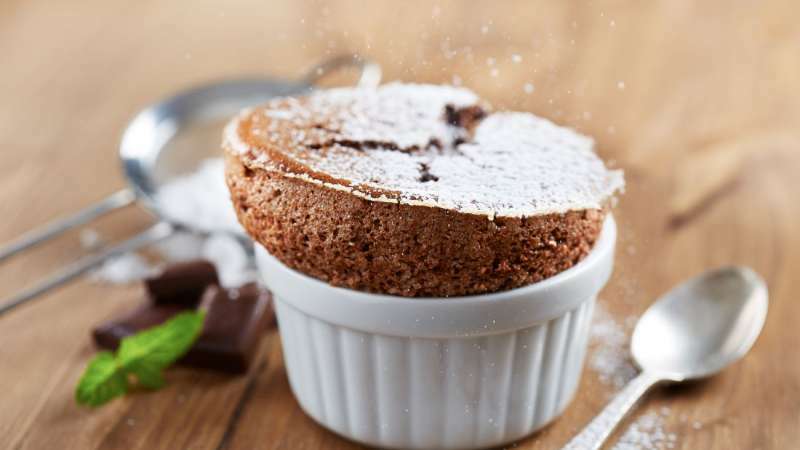 The soufflé is baked and generally served as soon as it leaves the oven, so that the diner can admire the beautiful lift before it deflates. 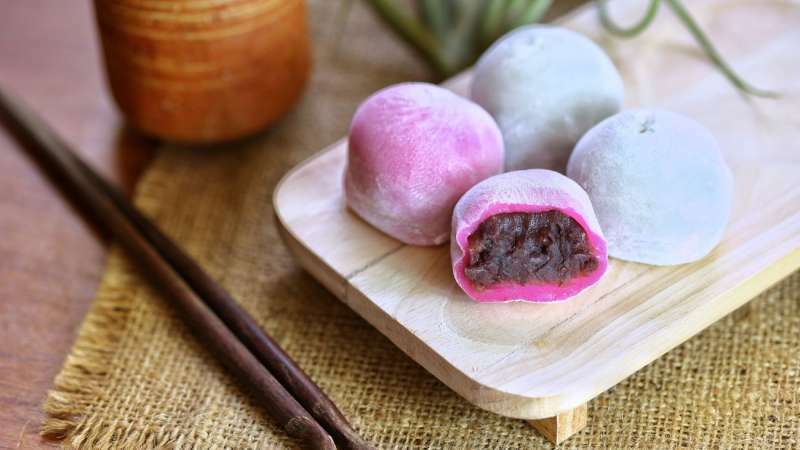 Mochi is a Japanese confection made out of pounded short-grain rice, which forms a glutinous paste, and is then molded into the desired shape. 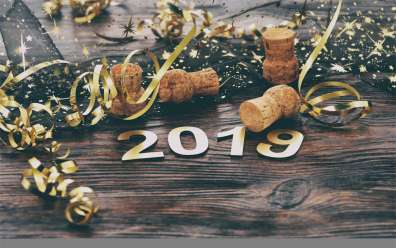 Although mochi is traditionally served at the Japanese New Year, it has slowly been spreading in popularity around the world and is now considered a treat to be enjoyed any time. In Japan, there are different varieties that are meant to be enjoyed on specific holidays, but if you’re looking for a Valentine’s Day treat, you can just pick any flavors that strike your fancy. This delicious confection is often enjoyed in Thailand, where their plentiful mangos make this dish a cheap and easy treat. However, if you can get a hold of a fresh, sweet mango, then you can make this dish too! 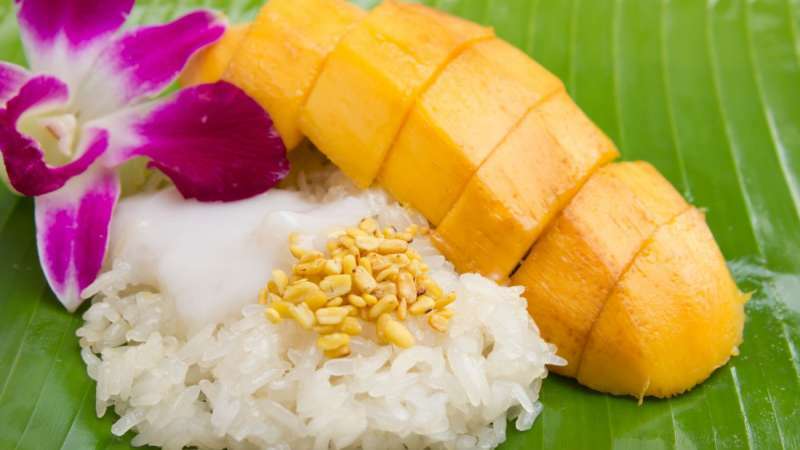 At its heart, it’s simply sticky rice that’s cooked in a coconut sauce and topped with a rich coconut cream topping and slices of sweet, juicy mango.